Pulsed Magnetic Therapy (PMT) is a revolutionary treatment that produces healing at the cell level. 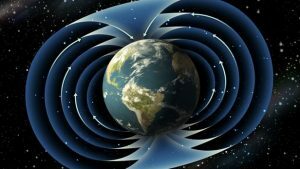 Magnetic field therapy creates bio-currents which improve the flow of blood and oxygen to the tissues and the flow of ions and nutrients into the cells, thus improving cellular bioenergetics and healing. Helps the cells and organs of the body to detoxify and release chemicals and heavy metals. “A wide variety of challenging musculoskeletal disorders has been treated successfully over the past two decades. These include nerve regeneration, wound healing, graft behavior, diabetes, and myocardial and cerebral ischemia (heart attack and stroke), among other conditions. Preliminary data even suggest possible benefits in controlling malignancy (cancer). The cellular conditions that allow renegade cancer cells to grow are in some ways similar to the painful inflammation and swelling of muscle and joint pain, but more complicated because of the primitive metabolism of cancer cells. Every cell in the body is a tiny battery with a transmembrane potential, or TMP, which is a measurement of the electrical charge of the cell. In order for a cell to bring in nourishment and let metabolic waste out, the cell membrane potential needs to be fully charged. In cancer cells, the cell voltage drops from a normal of 70 millivolts to less than 40 millivolts. At this low level of cell energy only five substances can pass in or out of the cell: water, sugar, potassium, cesium, and rubidium. Oxygen cannot enter the cell. In 1937, Dr. Albert Szent-Gyorgi won the Nobel Prize for his discovery that cancer cells obtain energy for growth from anaerobic (no oxygen) or, fermentative, metabolism, using sugar without oxygen. Actually, cancer cells cannot grow in the presence of oxygen. In fact, many cancer therapies focus on re-establishing oxygen based metabolism within cancer cells which will cause them to undergo programmed cell death, or apoptosis. Pulsed Magnetic Therapy improves the transmembrane potential of cancer cells, helping them to activate aerobic metabolism, as well as to reduce inflammation, improve blood flow, enhance immune function, and the like. Mindbody medicine is the future of healthcare because it focuses on promoting health in the mind and body as the best treatment for disease.Only by changing diet, using nutritional therapies, stress management and fitness training will the epidemic of chronic disease plaguing our society begin to reverse. This stands in sharp contrast to the conventional “disease care” using symptom suppressing medications. Pulsed Magnetic Therapy applies the principles of health promotion to the cell level by improving blood flow, reducing inflammation, increasing oxygenation, boosting immunity and more.